The full list of Fortnite Week 7 Challenges are now available to be completed, as we move firmly into the latter half of Battle Royale Season 7. In this complete Fortnite Week 7 Challenges guide, we’ll be walking you through the complete list of the latest Battle Pass and free challenges, so you know which tasks you’ve got to complete straight away. But if you instead need help with any additional areas of Battle Royale, you can head on over to our Fortnite Battle Royale guides hub. Here you can find a full beginner’s guide to the mode, as well as a complete list of all previous and current challenges. 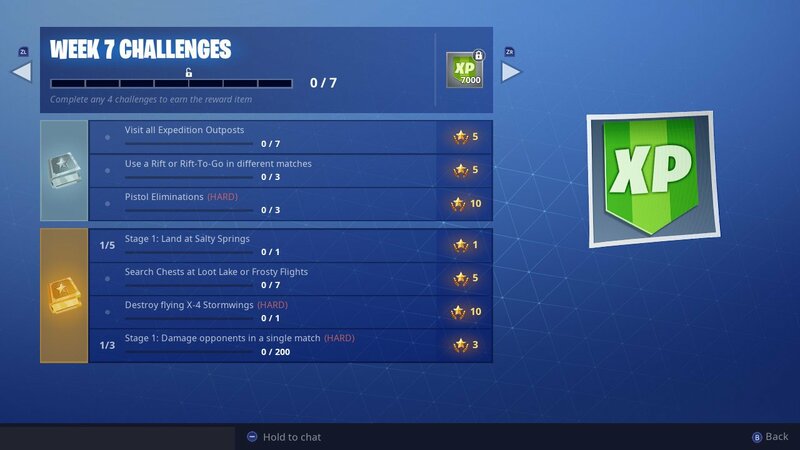 In the image below, you can see the full range of current Fortnite Week 7 Challenges. Keep in mind that while the first three challenges on the list can be completed by any and all Fortnite Battle Royale players, you’ll need to own the Season 7 Battle Pass to complete the last four challenges in the list.